We are a local Whitstable father and son firm. 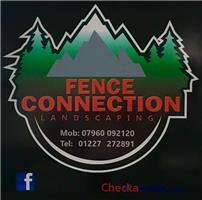 Specialising in soft and hard landscaping. Our reputation and success is based on the quality of our materials and brilliant service we provide to all our customers. With over 25 years experience you can be rest assured you are in safe hands. Call Fence Connections today and we will be happy to come and provide you with a no obligation quote at a time that suits you .